Minimize heart disease and diabetes risk? Lessen the need for expensive medications? Avoid ovarian surgery or hysterectomy? 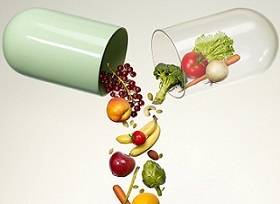 …and do it all without total reliance on pharmaceutical drugs? Well, there is some very good news! Our review of over 2,000 medical research studies has uncovered some little-known but very important natural therapies that you can apply immediately to improve your symptoms of PCOS. The research also revealed that you can gain a high degree of control over your symptoms and improve your fertility -- if you know what to do…and then do it! You can start right now to reclaim your health and start to gain the upper hand over polycystic ovary syndrome and all of its ugly symptoms. And be able to start a family, if that's what you want to do. 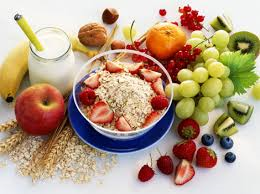 Research Discovery #1: "Food Is Your Best Medicine"
We found out something that you doctor hasn't told you: what you eat has a profound effect on every aspect of this disease. In fact, the correct diet can be more effective over the long term than drugs. So we wrote a comprehensive e-book describing a diet that is specifically designed for alleviating PCOS. 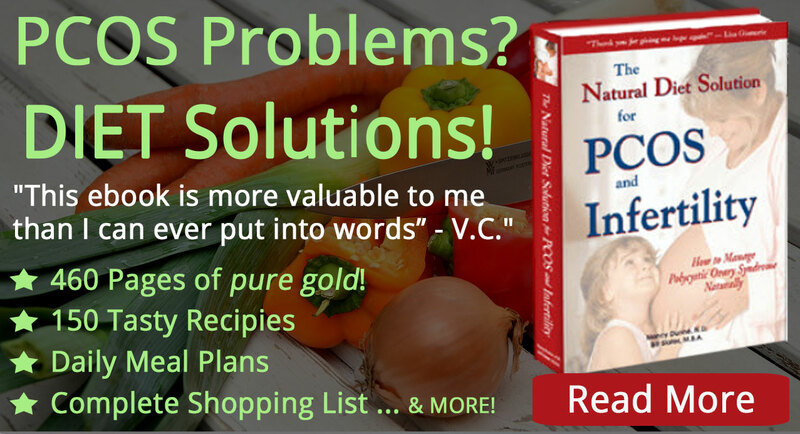 This e-book is an excellent way for you to get started on the road to better health. Research Discovery #2: "Women with PCOS Have Special Nutritional Needs"
There are dozens of medical studies showing that you likely have genetic and metabolic abnormalities that increase your need for very specific nutrients. You may not be getting enough of these nutrients in your diet, so nutritional supplementation is useful in these situations. This site has compiled a selective list of nutritional supplements that have specific application to polycystic ovarian syndrome, infertility and other symptoms, all based on medical research evidence. You can get these supplements in our PCOS Nutritional Supplements Store. Research Discovery #3: "Better Solutions Are Continually Being Discovered"
Did you know that new scientific research relating to PCOS is being published almost every day? Chances are, your doctor is not keeping up with this information. But we are! We review hundreds of scientific articles every month. When we find a "research pearl", we share it to you. If you believe that "knowledge is power", you will want to get our free twice-monthly newsletter. This newsletter gives you insider tips that you won't find anywhere else. A natural alternative to metformin. A blood test that every women with PCOS should get but almost none do. A vitamin proven to help you ovulate, lower testosterone, and reduce symptoms. New side effects of birth control pills that nobody is talking about. A vitamin that helps birth control pills work better. Strange new symptoms linked to polycystic ovary syndrome. An amino acid that helps regrow hair. Lose weight by changing how you prepare food.